A set of (6) eco-friendly blank Thank You cards in three pastel shades of peach, muted yellow and mint -- beautiful colors for Spring! A simple way to give thanks to friends and family. 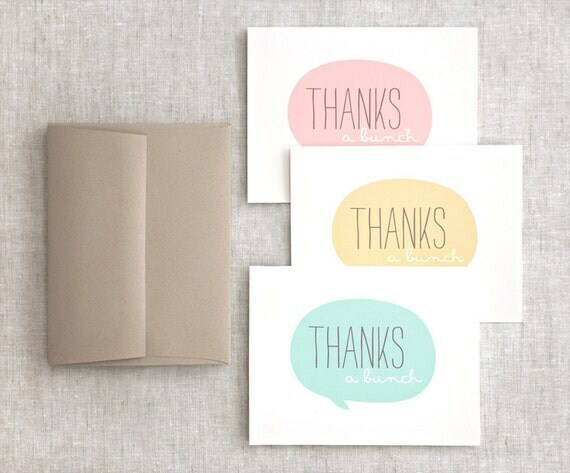 Each card has an oval shaped speech bubble with brown and white text with the words "Thanks a bunch". 100% post consumer fiber.